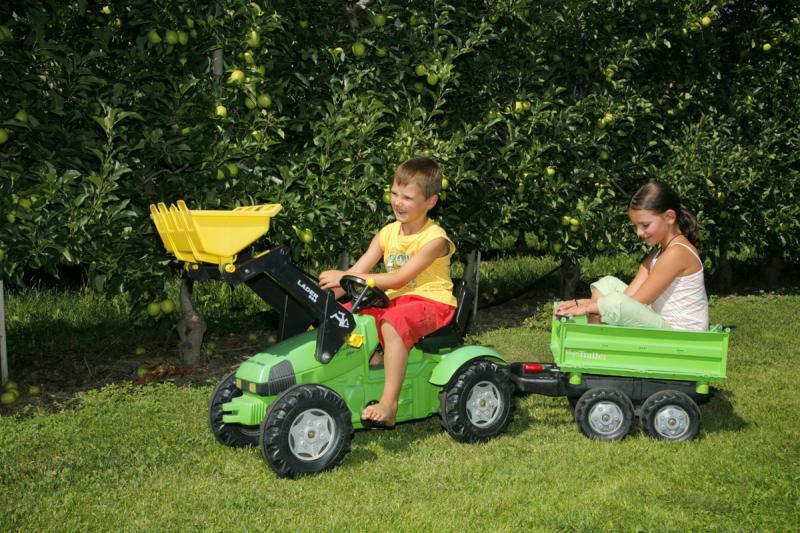 Nature is the heart and soul of the operation at any farm. We place great value on natural produce and we try to conserve and care for our natural surroundings as we receive the most beautiful fruits in return. Here at our traditional farmstead you can get acquainted with the life of Southern Tyrolean fruit and wine growers. Sample our home-made produce, enjoy the unique natural setting, bite into a crisp or fresh apple straight from the tree. 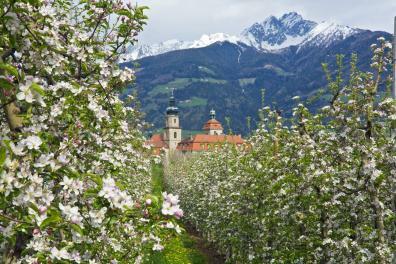 Our recommendation: The apple blossom in spring is a truly unique experience. 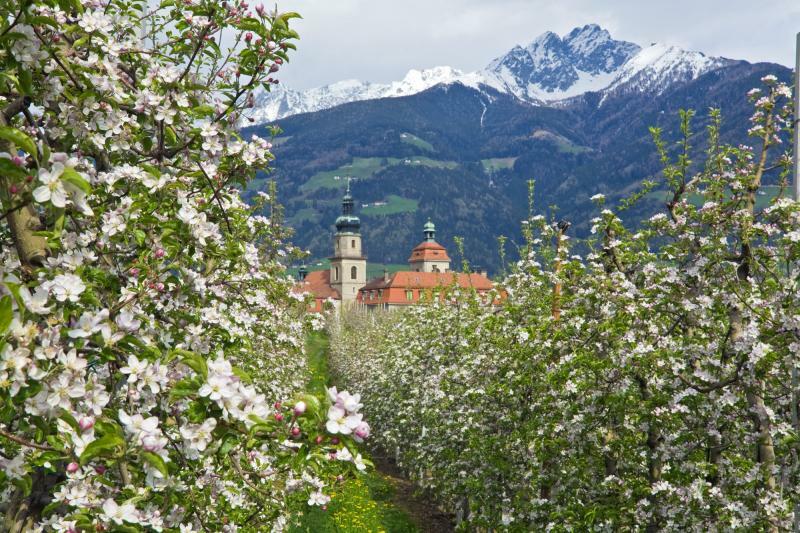 A sea of blossom frames our farmhouse and the scenery is like a fairy tale in its splendour. 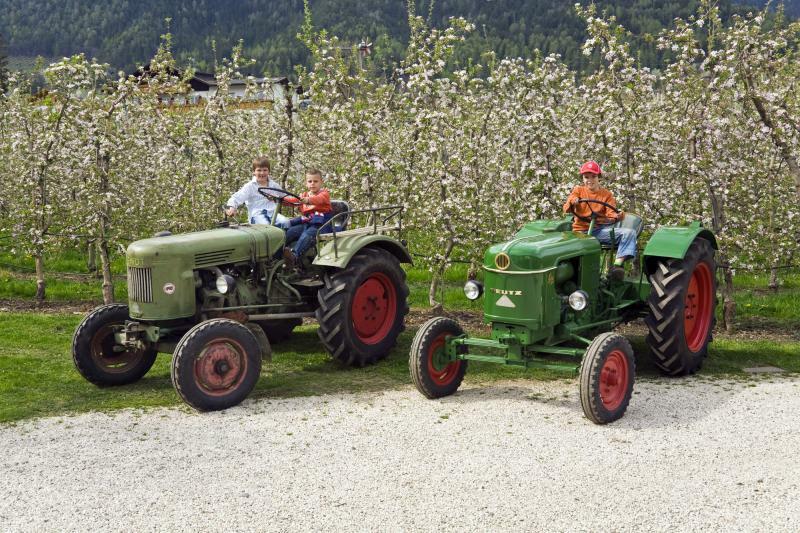 Our farmstead has its own farming museum complete with a few vintage tractors. 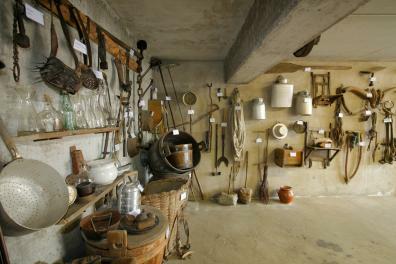 Let yourself be whisked off into the farming world of the past and learn about all kinds of tools! Convivial guest evenings in our ancient wine cellar, some parts of which are as much as 1.000 years old, are always certain to be a very special experience. During a traditional South Tyrolean-style “Marende” (snacks including cheese, bacon, cured meats, etc.) 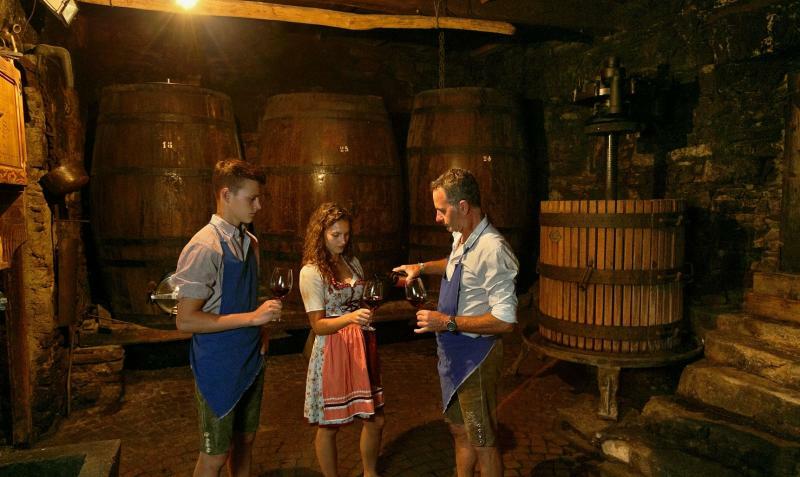 and tasting of wines we have grown ourselves, your host, Christoph, introduces you once a week to the world of wine. Our men are really proud of our two cows. 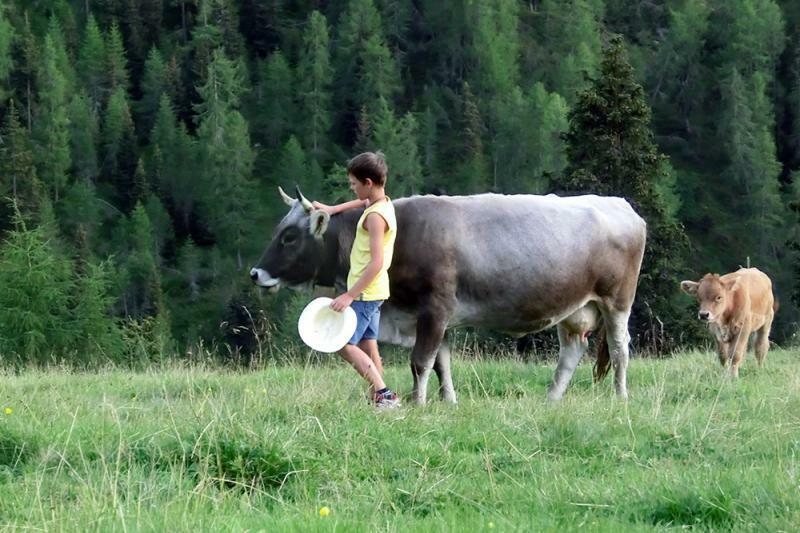 In the summer months also our cows make holiday and they relax on the alp.